Join Our SoCal Alumni Events! 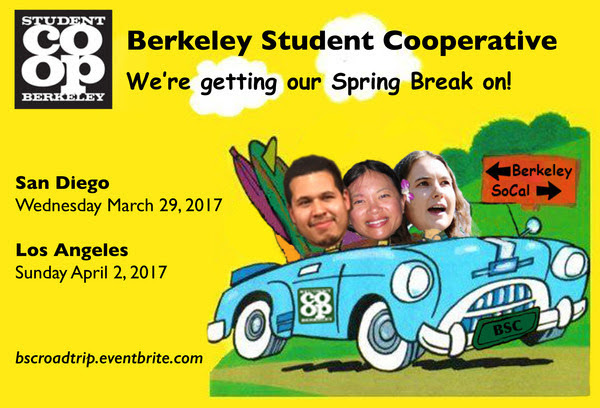 Please come meet up with Berkeley Student Cooperative Executive Director Kim Benson, Development Director Madeleine Loh, President Kevin Ramirez, and whomever else we fit in the car! Cost: Free, no-host bar and food truck. Cost: only $30, lunch and drinks included! Do you have video editing and/or skills filming video? 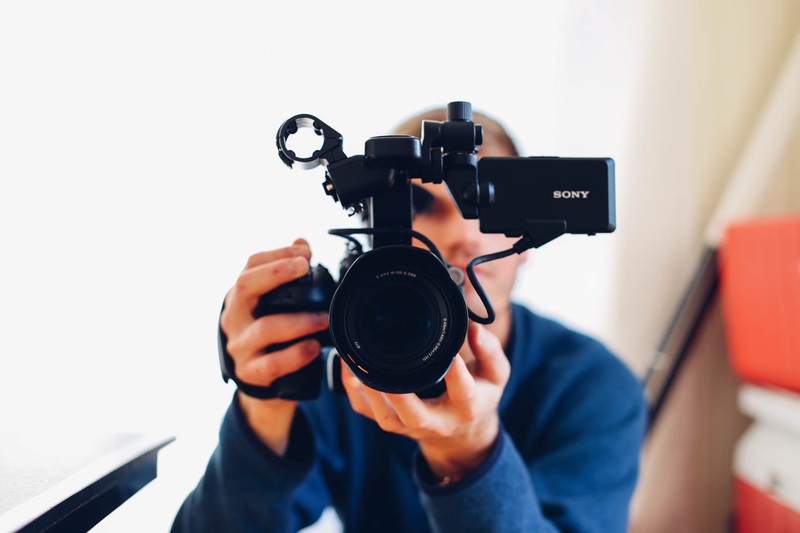 The BSC is offering paid workshift for folks interested in shooting & editing BSC training videos, such as workshift how-to's. This work is project-based and flexible with hours. Interested? Apply! The deadline for the application is midnight, Wednesday February 22nd, so apply soon! 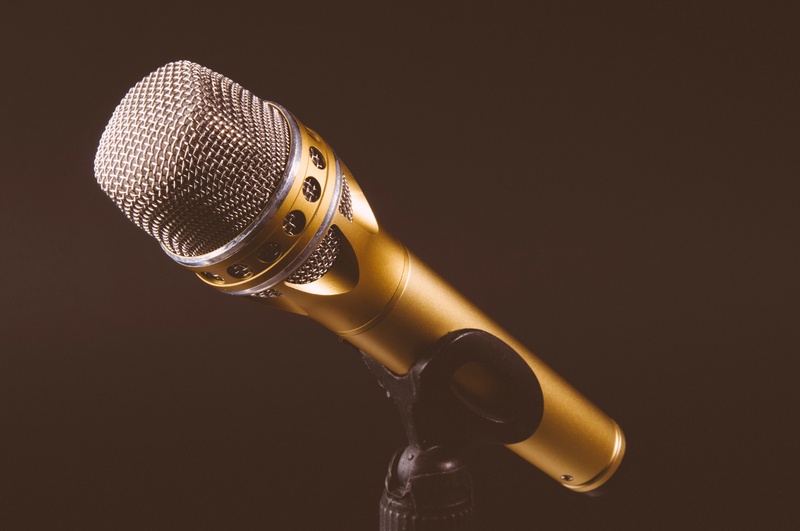 Are you fluent in Mandarin Chinese?The BSC is offering paid workshift for Mandarin-speaking co-opers who can dub over some BSC video footage. This work is project based, and varies in hours per week/semester. If interested, please contact Rainy by Wednesday, February 22nd. 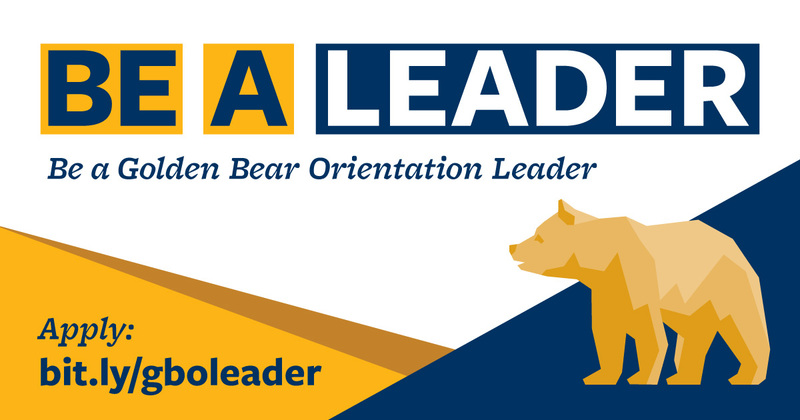 Be a Golden Bear Orientation Leader! Orientation Leaders are part of a diverse team of UC Berkeley students who work collaboratively to welcome, orient, and educate the new students to campus. Orientation Leaders will guide a small group of students through their Golden Bear Orientation (GBO) experience, helping them explore academic life, involvement, the diverse community, and everything that UC Berkeley has to offer. This position provides a rewarding opportunity for personal and professional growth. Application due on February 24th by 4PM. Come get involved! Shermanite Li Chu made the largest personal donation in the history of the BSC ($200,000), thereby making the seismic retrofit of Sherman Hall possible. Li was a highly respected House Manager at Sherman Hall from 1962-63 and went on to have a successful career in the pharmaceutical industry. She died earlier this month after struggling with stomach cancer. I am saddened by her passing, as she was a strong presence in my work for the Berkeley Student Cooperative -- editing spreadsheets and letters, gathering her alumni friends together, and most importantly, listening. The Berkeley Emergency Prep Fair is scheduled for March 18 and volunteers are needed to make this event possible. The fair will bring together many trainings, vendors and subject matter experts (in English and Spanish) as well as provide activities for kids, pet owners, and families to help build our community readiness for emergency. I need help from volunteers to make sure our community knows about this opportunity and to make the event happen. Passionate about issues like gender equality, affordable housing, or environmental sustainability? Consider becoming a Commissioner! There are more than 200 positions available on Commissions, whose advocacy work extends to many different policy areas: animal care, civic arts, mental health, open government, and more (find a complete list here). Commissions meet on a monthly basis for 2-3 hours. ALL students, from all backgrounds, are encouraged to apply HERE. Applications are reviewed and accepted on a rolling basis! ProPublica is proud to announce its second-ever Data Institute, a 11-day intensive workshop on how to use data, design and code for journalism. The workshop will be from June 7 to June 21 in our NYC offices. The deadline to apply is March 31st, at 11:59 p.m. EST. THe BSC is offering a free CPR/First Aid class on Saturday February 18th in the Rochdale Common room and will run from 10:00am till 5:00pm. Breakfast and lunch will be provided. This class is reserved for managers and BSC staff, and counts as a CERT training. Your CPR and First Aid certification is good for two years and a typical class can cost you upwards of $100. This is a great opportunity to get certified for free!